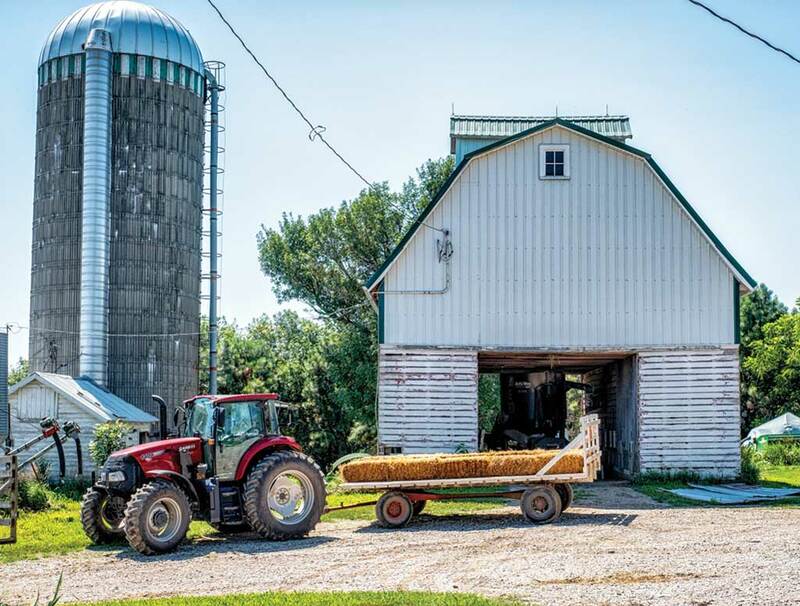 When the charter bus pulled into the driveway of Ron and Maria Rosmann’s farm near Harlan, Iowa, a division surfaced between the passengers that was solidly gender-oriented. 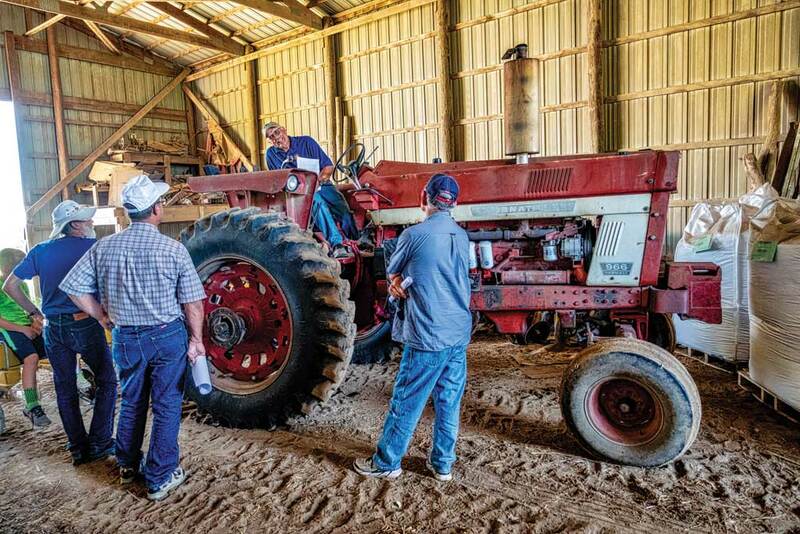 The men—farmers mostly—wanted to see the fields first, to inspect equipment, discuss techniques and complain about the weather, while the women wanted to go shopping in Farm Sweet Farm, the retail arm of Rosmann Family Farms. Not surprisingly, the women got their way. 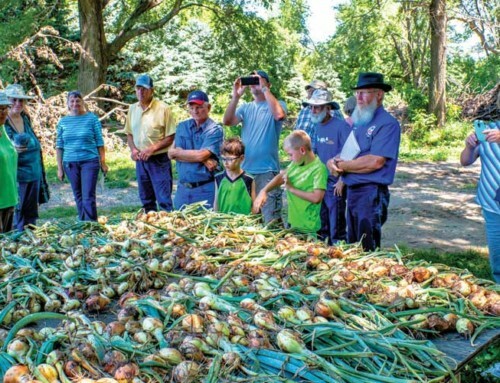 Of the three organic farms in Iowa chosen for the Kansas Farmers Union’s Thinking Outside the Box Farm Tour series, only the Rosmann’s had a retail market selling directly to consumers. The store has been in business for six years and sells bulk spices and seasonings, kitchen gadgets, herbal teas, aprons, country-themed decor, and certified organic beef and pork in various cuts. There are even handmade reed baskets from Tanzania. The Rosmanns raise corn, soybeans, small grains, popcorn, hay, pasture, cover crops, cattle and hogs on 700 acres. Two of their sons, David and Daniel, work the farm with them, while the youngest, Mark, works for the Foreign Agricultural Service for the USDA in Washington, D.C.. Daniel and his wife, Ellen, also run Farm Table Delivery and own and operate Milk and Honey, a restaurant featuring locally-grown meat and produce in Harlan. The Rosmanns are known for their diversification, as well as their intensive use of research and experimentation in seeds, animals and agricultural procedures. More than 40 research trials have been conducted on the 700-acre farm within the past 30 years, some with surprising results. Their willingness to assess, appraise, evaluate and experiment were a good fit for tour series, which showcased farms that do things differently. Left: Necessity was the mother of inventing the store: The Rosmanns’ meat sales volume outgrew the capacity of the eight chest freezers they had at the time. The Rosmanns built the store in 2012 on their property for a couple of reasons. 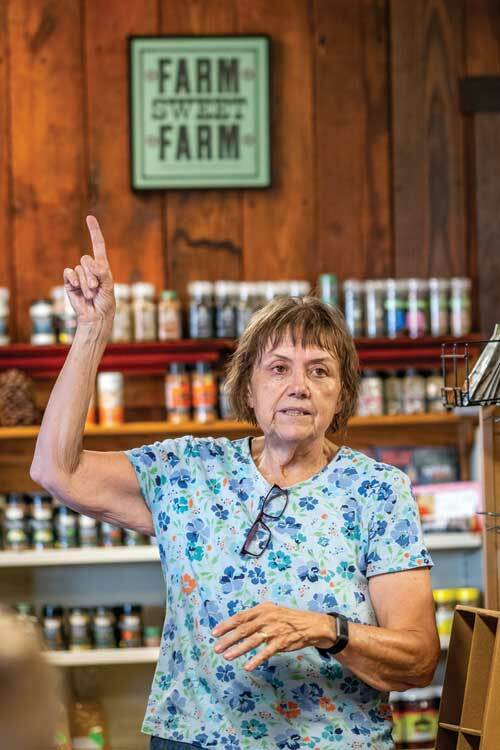 “We wanted people to see our farm, with a real farm store on a farm,” Maria said. “Instead of shipping products, we wanted to change eating habits and opinions about organic foods,” Ron said. Right: Ron Rosmann is a founding board member of the Practical Farmers of Iowa, having served as both vice-president and president. 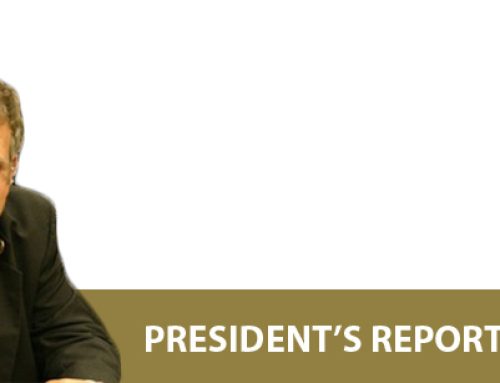 He is a past president and board member of the Organic Farming Research Foundation. 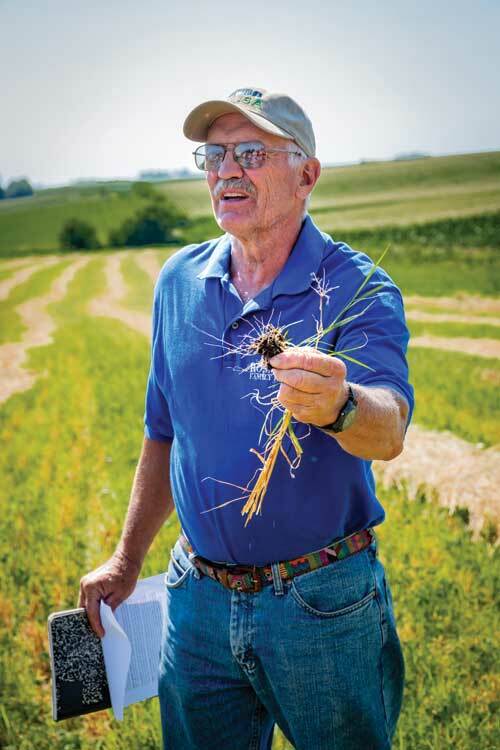 The Rosmann family has conducted over 40 on-farm research projects through Practical Farmers of Iowa since 1987. They are conducting a replicated trial testing two varieties of corn that use nitrogen more efficiently and even produce some of their own nitrogen through the bacteria on their roots. Farming organically is farming responsibly, Rosmann said. Providing for wildlife is as important as providing for people. Climate change is not a nebulous concept but a verifiable transformation he has witnessed firsthand over four decades of farming. Winters are warmer now with less snow, summers are slightly cooler but with higher nighttime temperatures, and annual rainfall has increased by four inches. Extreme rain events of two inches or more are becoming more frequent. The farm has been pesticide-free since 1983. It was certified organic in 1994, certified for organic beef in 1998, and certified for organic pork in 2003. Because of the rolling terrain, the Rosmanns incorporate more than 50 designated crop fields based on contours, drainage, waterways, terraces, turn strips and field borders. 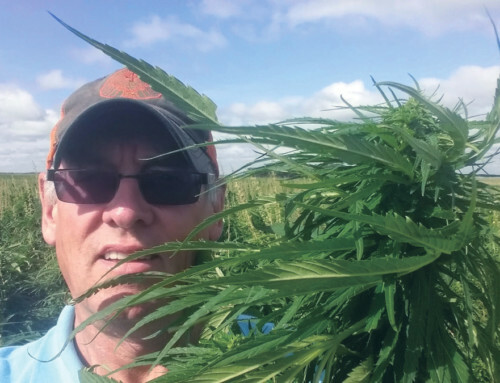 Crop rotations are a critical aspect of the farm’s success, Rosmann said. For now they’re experimenting with different crops and rotations, including the addition of hybrid rye. Only six farmers in the country are using it now, but already it shows immense potential. 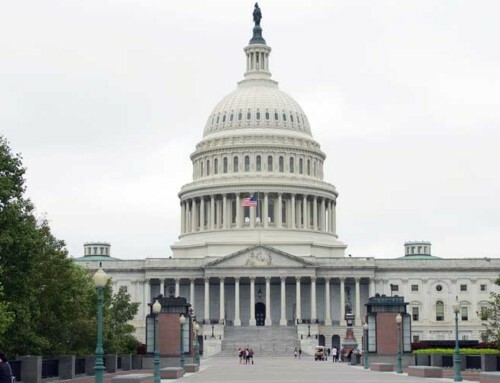 “It could become, if there’s luck in the cards, that third grain we so desperately need,” he said. 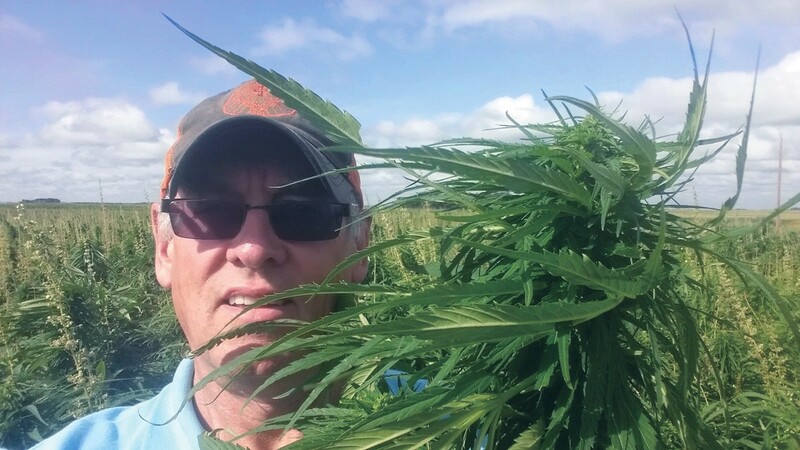 According to a plant breeder he trusts, European tests have shown that hybrid rye yields twice as much as winter annual common rye, and because of its high fiber content it’s being used in 60 percent of sow gestation diets and from 20 to 30 percent of hog rations from nursery pigs on up. Hybrid rye has also been successful at removing salmonella from chicken egg shell manure. 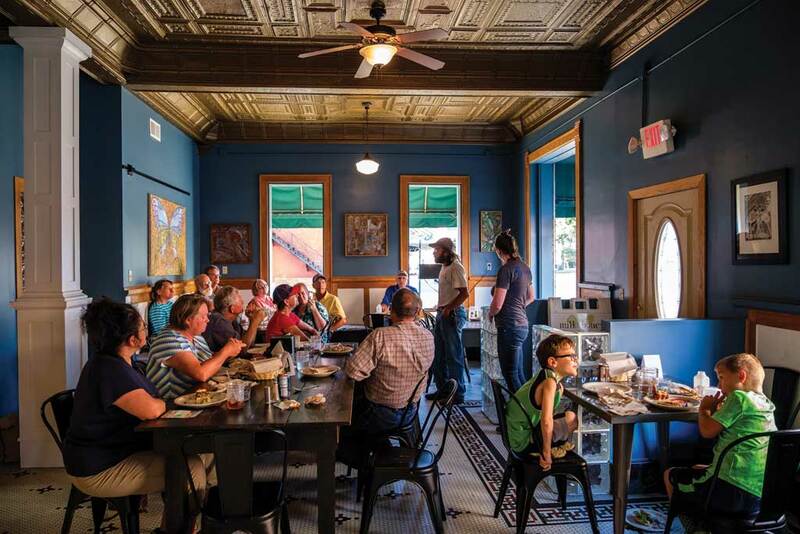 Son Daniel Rosmann and his wife, Ellen, also run Farm Table Delivery and own and operate Milk and Honey, a restaurant featuring locally-grown meat and produce in Harlan. Tour participants enjoyed dinner at the restaurant. Rosmann took them over to a new hog barn built two years ago. Before going organic, the farm raised 1,000 to 1,500 hogs, he said, but there was a concern over continuing that number without using antibiotics. The first 10 years were very good, but then problems started plaguing the operation. Sows weren’t getting bred, the quality of boars was dropping, and experiments with different breeds never panned out. In his grandfather’s day, everyone worked the same hours and did a lot of the same work, and it created a sense of community within the farming sector. Now, the argument for genetically modified crops is that farmers can spend more time with their families and less time in the field. It’s a compelling argument, he said.